Welcome to St Francis of Assisi Catholic Primary School, Norwich. We hope you enjoy exploring our website and are able to find the information you are searching for. If you would like further details about anything you are looking for, please don’t hesitate to contact the school office. Our school opened as a new Catholic primary school in September 2013. In Spring 2016, the school joined the St. John the Baptist Catholic Multi-Academy Trust, which consists of Notre Dame High School and a number of Norfolk and north Suffolk primary schools. Information about the Trust is currently being added to the website, and includes a link to the Trust’s own website. At St. Francis, we offer a Christian teaching and learning environment of the highest quality to children between the ages of four and eleven. We welcome children from families committed to our Catholic ethos and will offer all children opportunities to experience a personal relationship with Christ through their learning and in the daily life of the school. We are a school that likes to celebrate success – at every level. The life of the school is driven by enthusiasm and a desire to achieve. We place a strong emphasis on enabling children to achieve the highest standards in essential areas of learning, such as literacy and numeracy, whilst at the same time bringing learning alive, making it exciting and stimulating. We want the children to enjoy coming to school and to develop a thirst for learning that continues with them throughout their future school experience and life. Teamwork is a very strong feature of our school. 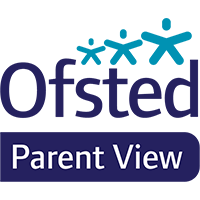 We believe that education is a joint venture, involving everyone – children, parents, staff, governors and the wider community. We hope that we will be able to depend on your co-operation and support in this partnership, knowing that together we can provide the best for every child.